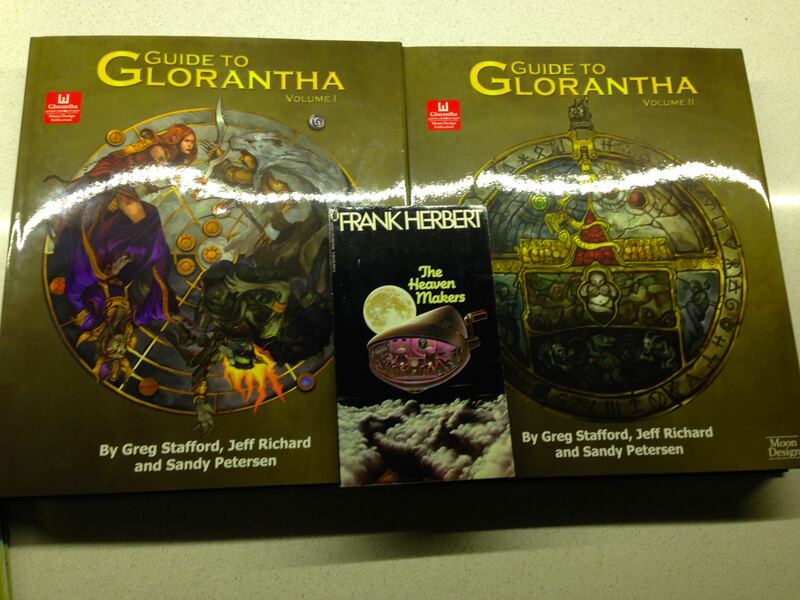 Today I received my copy of Guide to Glorantha. 12 kg’s worth of Gloranthan goodness. This is the book that we have been waiting for all these decades. 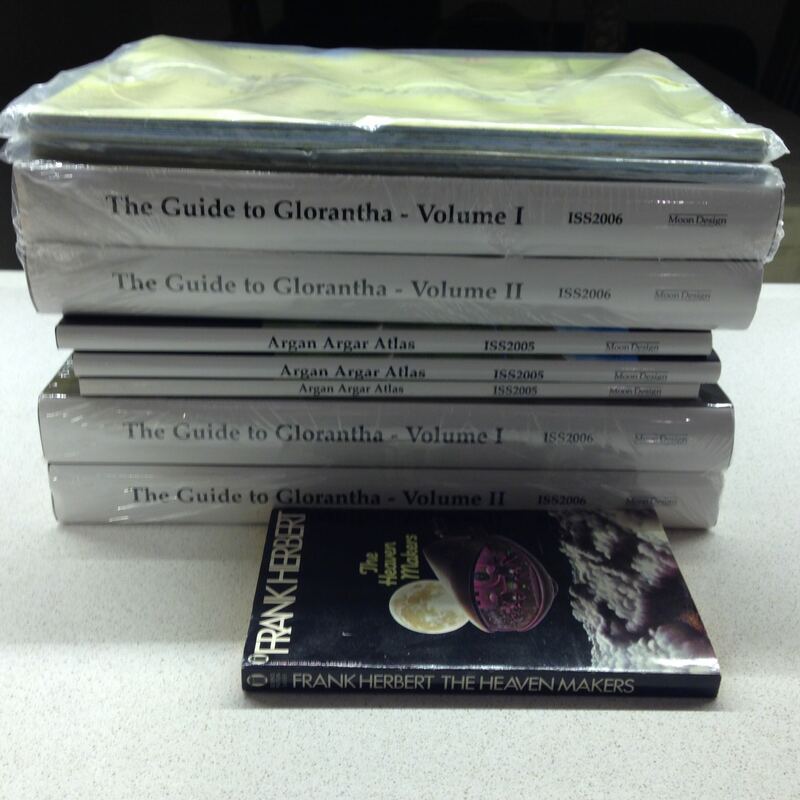 Extensive information on all of lozenge in the two volumes of Guide and 1 of maps. Additionally all of Genertela in 6 maps and all of Lozenge in 24 maps. Attached are few pictures before sharing the loot. 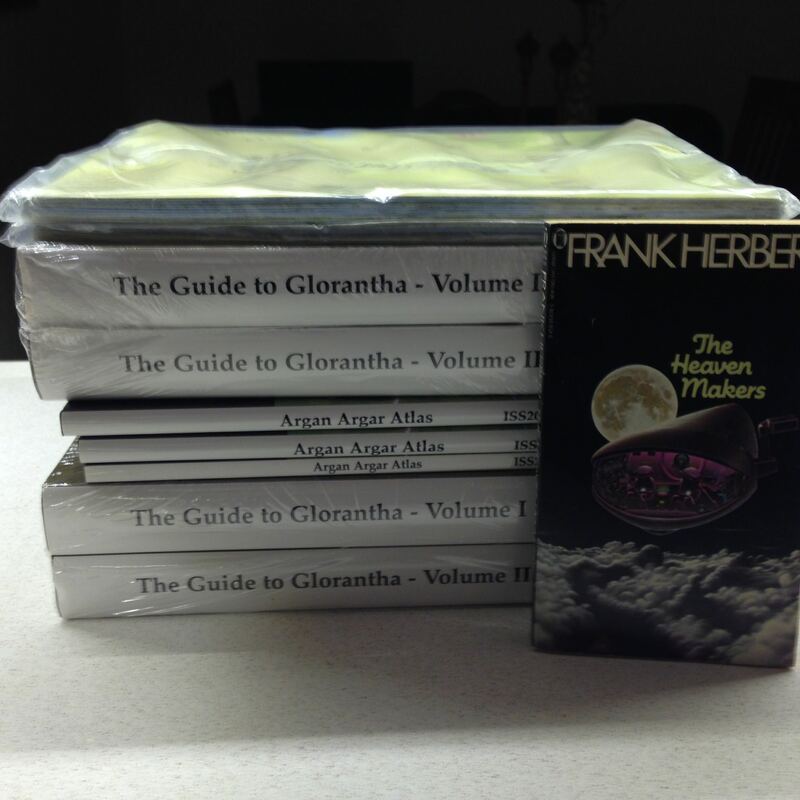 The Herbert’s science fiction paperback shown as a size comparison. The Guide is just gorgeous and full of info just on the right level at multitude of aspects of Glorantha so it can be used and extended for a multitude of campaigns and scenarios. Perhaps later a small review after I have had enough time to digest all of it. 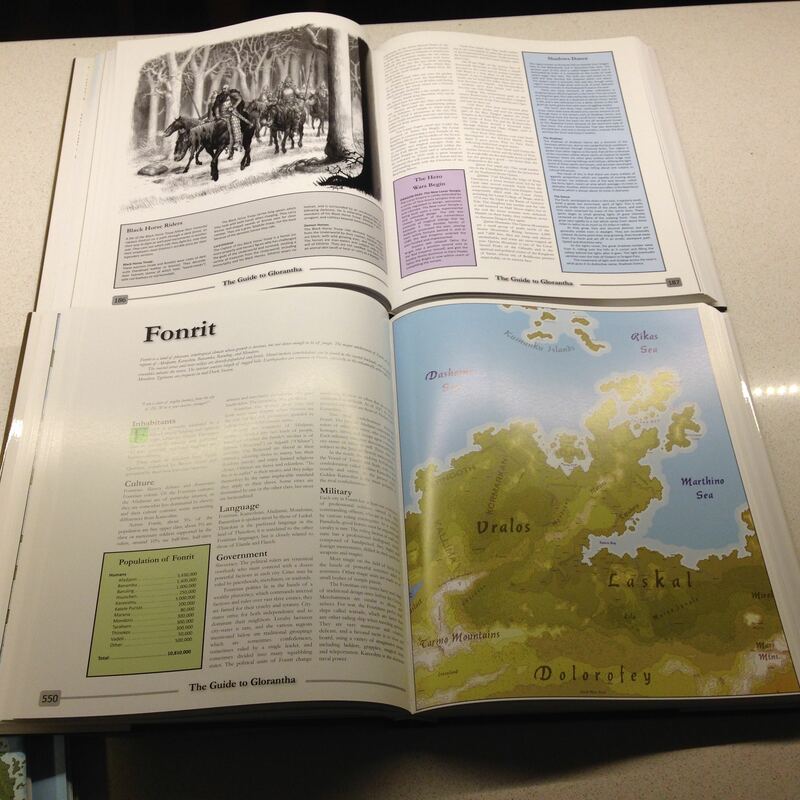 The guide can be bought as PDF’s but the print version really does justice to the contents.